I decided to write this for a couple of reasons. The first was to detail the last 3 years of my life in dealing with a life threatening disease, and the second was to have a place where people could read and hopefully understand why I have chosen to handle this the way I have. For me to explain, I must first provide some background into how I was diagnosed and the immediate aftermath of finding out. 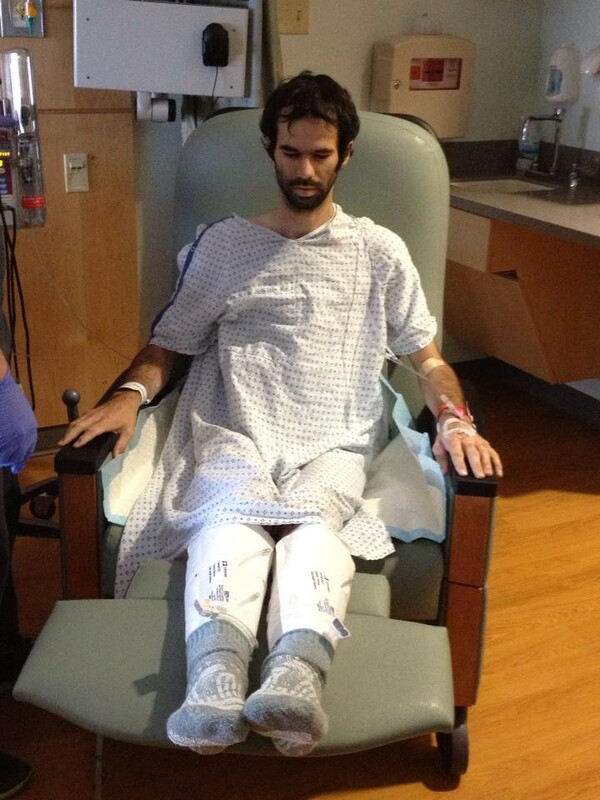 In the late summer of 2013, around the very end of July into early August, I begin to have pain in my lower, left back. During this time I was working a fairly physically demanding job and going to school full time, plus I was visiting the gym 3–4 times a week (although I never lifted heavy, I always stay with light circuit training). So I gave up the gym for a while, starting using ice and heat for my back and taking over the counter pain meds. However, soon after I begin to have cold chills and low grade fevers (99.9–100.3). Once the new symptoms started I decided to schedule a visit to my PCP. After going over everything with my doctor he originally believed I was having kidney stones. However, one thing showed up during the physical examine that was confusing to the doctor. I had a knot on my chest where it appeared some of my ribs had become dislocated. He asked if I would be willing to have a CT Scan, because it would show him everything it could possibly be. At the time, he believed it was kidney stones and a physically injury. Unfortunately, in October when we got the results back it showed a very large adrenal mass, the mass was so large (my adrenal gland was roughly 7 times normal size) that it had pushed my kidney down, turned it sideways, and was jamming it into my rib cage dislocating my ribs. Adrenal masses are rare by themselves, so I was referred to an urologist/oncologist at UAMS (University of Arkansas for Medical Sciences). The first doctor I met with was a man named Dr. Kamel, while my medical records had been sent, Dr. Kamel did not get a copy of my CT until I had arrived with the physical disc. I will never forget when he walked into the room he said “Okay, you have a large adrenal mass, and I need to schedule surgery to remove it.” I asked if we had any other options and he responded “yes, you can die and it will be a slow, painful death”…..I agreed to the surgery. I spent the next three days in Little Rock having various test run to make sure the surgery and post treatment plan could be carried out carefully. 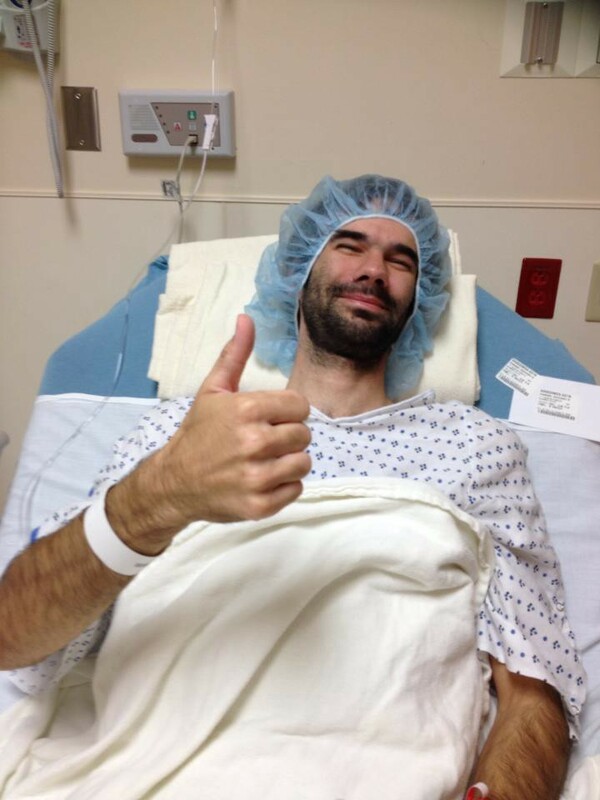 By the time surgery came around, I was ready to get it done. Due to scheduling conflicts and the fact that head of urology, Dr. Rodney Davis, wants to be in on all the surgeries. I ended up with Dr. Davis performing the surgery on December 5, 2013. I would like to note that I trust both Dr. Kamel and Dr. Davis and would have been more than happy to have either of them (although Dr. Davis is a bit less blunt). The surgery lasted 4 hours and they removed the tumor (which weighed 3 pounds), my left kidney, and 2 inches of my diaphragm. 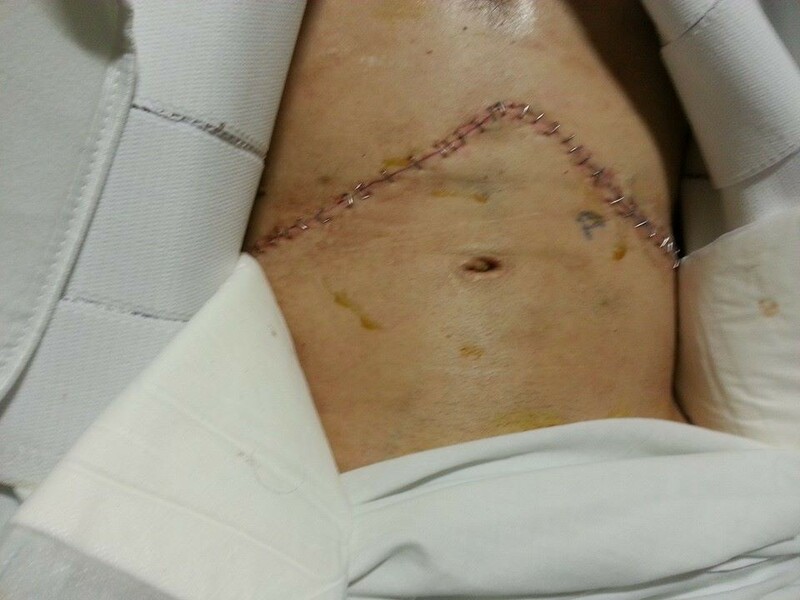 The scar runs clear across my abdomen and took 32 staples to close. 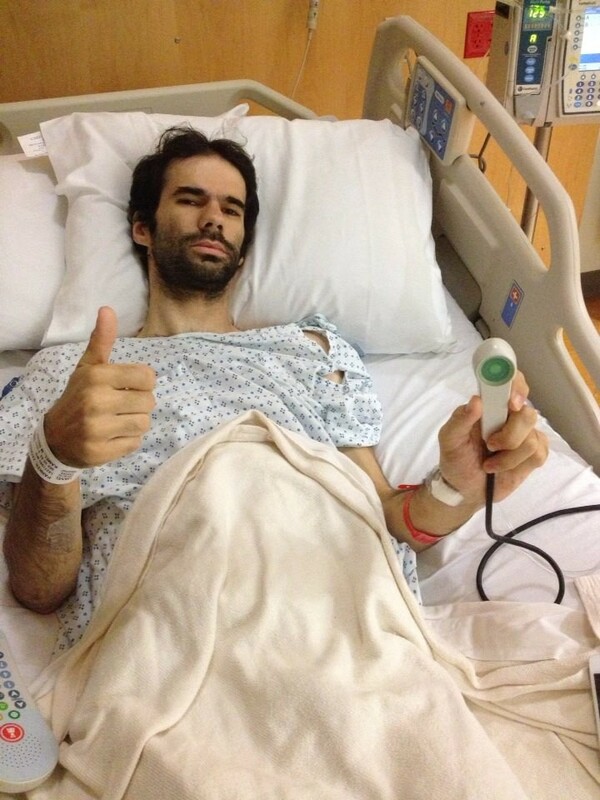 Luckily, surgery went extremely well (It was describe as being “textbook”) and I did not have to spend any time in ICU. The original time frame given was 3–4 days in ICU and 10–14 days total in the hospital. I was released after 5 days. Ten days after being released I had a follow up with Dr. Davis, at that point he informed me I had adrenocortical carcinoma, a very rare, aggressive cancer. I was referred to a medical oncologist for further treatment, but at the time the cancer appeared to have been contained so our goal was to prevent a recurrence. By the end of this few months I had gone from 150 Lbs to 105. Walking was the best and worst thing for me. It hurt like crazy, but prevented me from getting sick. At the risk of getting long winded, I will end part one here. This brings us to the end of 2013 as well. I will being posting part 2, which covers 2014–2016, hopefully in the next few days.